Adequate arrangements must have been made for their travel to, reception and care in the UK. May I ask what exactly do they mean by this? We both got five-year visas issued and they refused our baby? Documents we included were our business registration, passports with both parents included, our passports, bank statements, insurance policies. We all hold valid Indian passports and the application is being done in New Delhi, India. At the time of this visa application we all have valid USA visas, and she’s been there with us for a month. What exactly is the UK trying to do? It’s their country and I must respect their laws, but they might as well have rejected ours too. I would not go anywhere without our daughter. Thanks for the replies, am attaching the letter, also this was a family application and on her form too it was mentioned she will travel with us, and all our passports are updated with each other's names. We had shown adequate funds in both our accounts above 10K GBP with our home / Office Documents, all without any mortgage. And both of us have had visas since 1990's and have a yearly visit to london for a week or more. 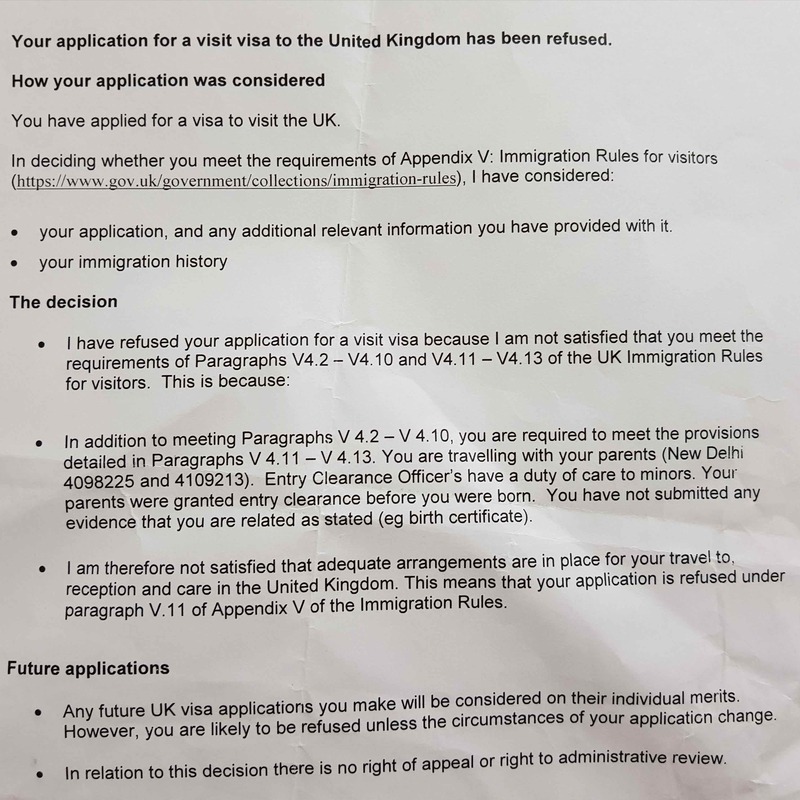 Now that you have included the refusal, we can say that they're probably just worried that you're going to bring some unrelated baby into the UK and leave it, causing work and costs for the social services. Simply adding a birth certificate and applying again sounds like it might be enough.